BCAA stands for branched chain amino acid and refers to a group of essential amino acids like leucine, isoleucine, and valine. 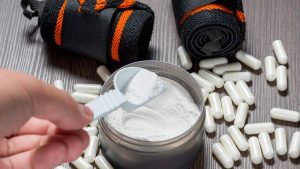 There are a ton of BCAA supplements out there right now but what do they really do? 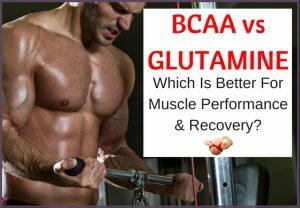 And what is the best BCAA supplement? Firstly, if you’re on a fat-loss diet, BCAAs are super important. 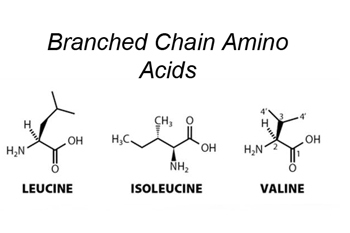 Branched chain amino acids are basically the building blocks of protein but without the calories. They help to preserve existing muscle mass. The reason why this is so important is because if you are on a diet you are highly likely to lose muscle along with fat. This is even more true if you do cardio in a fasted state. 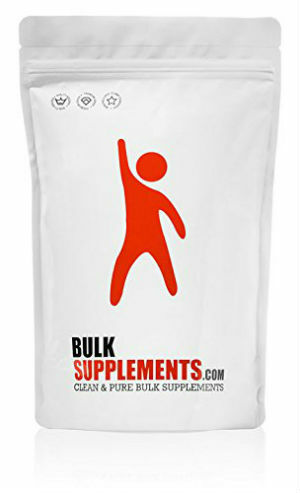 But BCAAs do a great job of preserving muscle mass so you can ensure that the majority of your weight loss is fat. I’ve actually used BCAA supplements whilst bulking too and found them to be a very effective helper in that regard. I would definitely recommend BCAAs to be a staple in your supplementation routine. So let’s take a look at the top five best BCAAs on the market. 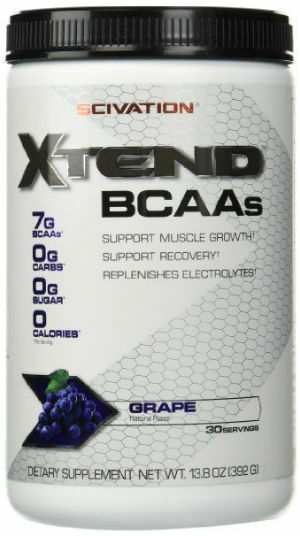 For me personally, Xtend is without a doubt the best BCAA on the market. 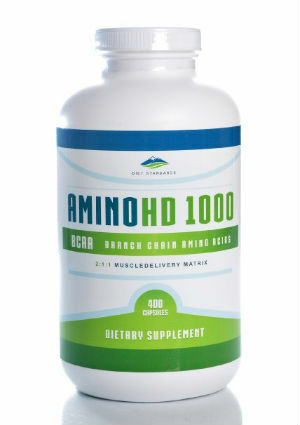 This supplement delivers a research-proven ratio of branched chain amino acids without any carbs or sugar. This supplement is perfect for taking before fasted morning cardio. In fact, it makes running on an empty stomach an absolute joy. I used to dread waking up and having to hit the treadmill without eating. And I could see my muscles wasting away along with the fat loss. But mixing Xtend in my shaker with a tall glass of water is so refreshing. It tastes amazing (I recommend Blue Raspberry) and suddenly I wasn’t losing so much muscle. It really helps me power through a cardio session. It’s also great for when you’re craving something sweet but have to restrict your calories. 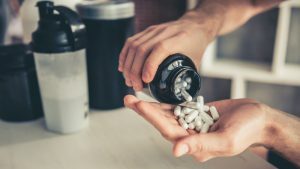 If you don’t like adding another powder to the mix (believe me, I sympathize with that), then you’ll probably want to pick up a bottle of BCAA pills. 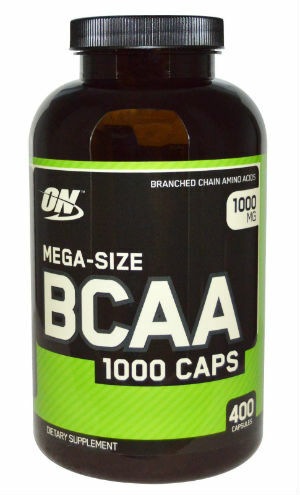 I recommend Optimum Nutrition’s supplement as some of the best branched chain amino acids in pill form. They’re really easy to swallow down and you don’t have to deal with any strange chemical flavors. They’re also easy to carry around with you and you don’t have to worry about leaking shaker bottle. Optimum Nutrition is one of the few brands I trust completely. And they haven’t let me down with this BCAA supplement, which has a terrific 2:1:1 ratio of leucine to isoleucine and valine that will really support your muscle preservation needs. Here is another example of a supplement company that I really trust. BulkSupplements always does a great job and you can tell they genuinely care about their customers. 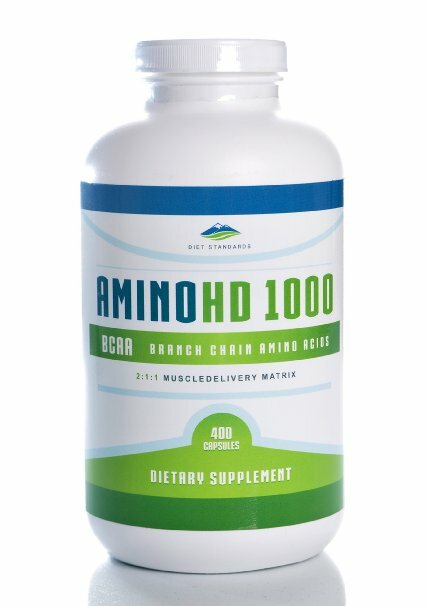 If you are looking for an unflavored supplement, this is the best BCAA supplement. I love the fact that you can add this powder to any other liquid and not taste it. Personally, I think it goes great mixed into coffee thrown into a carb-free whey protein shake. The powder itself is really fine, good quality, easy to mix, and has a great amino acid profile that will really make a difference in your fasted workouts. If you are looking for great value for money and BCAAs in capsule form, then AminoHD 1000 is one of the BCAAs supplements. This is a big tub and it should last a good amount of time. It contains 450 capsules and is only around $28. Seeing as you only need to take a couple of capsules a day, this supplement will definitely see you through an extended cutting period of a few months. After just a week taking these BCAAs, you will notice a great change in your body composition. You’ll lose fat but maintain muscle so you won’t get that ‘flat’ diet look we all know and dread. 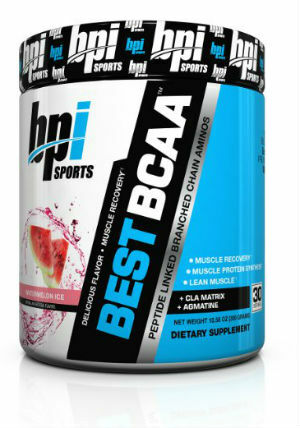 If you’re looking for a tasty BCAA powder that’s a little bit more affordable than Xtend, I recommend the BCAA powder by the good people at BPI Sports. It’s tasty (I recommend Watermelon Ice), it has a great muscle preserving formula, and it’s really easy to mix into water or any of your other favorite drinks. If I can’t get my hands on Xtend, I would choose to go for this option as it is still one of the best branched chain amino acids supplements around. The best BCAA supplement is largely a matter of personal preference. Some people like fruity tasting powders, some like flavorless powders, and others prefer capsules. Whatever your preference, the BCAA supplements listed above are the best of the best and there is something for every individual’s unique preferences. Any of those supplements will help you preserve muscle mass whilst on a diet and will make dieting much more fun, easy, and enjoyable.